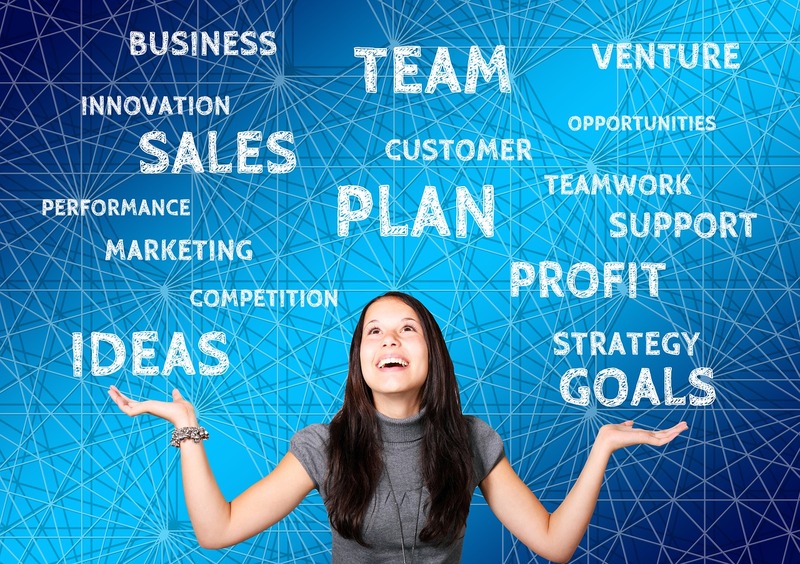 Social Media Icons are always comes handy when you want to get a lot of social media fans and this is common sense thing that everyone on the web will always want to increase their followers to get more popularity and sells. 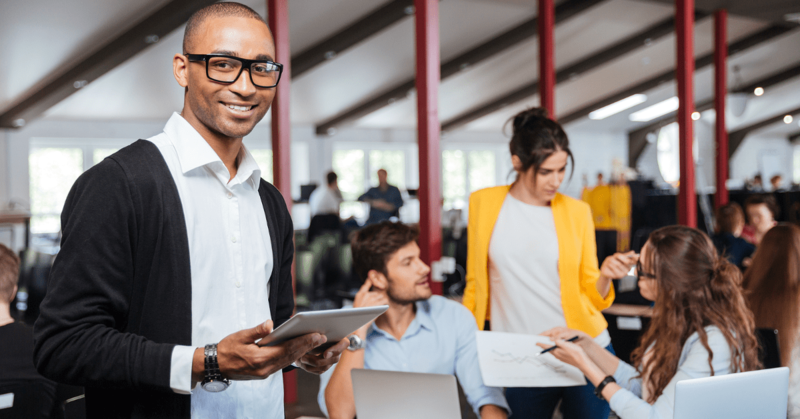 You can easily boost your social media followers, if you’ve awesome set of social media icons because if users can easily find your social profile icons then they must like your facebook page or follow you on other social networks to get connected with you to get feature updates. 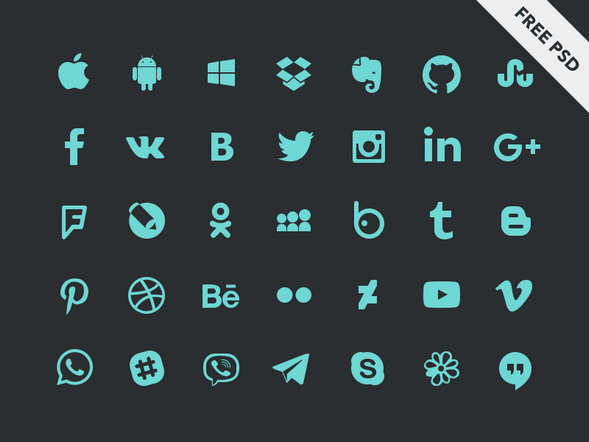 Here in today’s collection we are going to share the 40 best free social media icons. 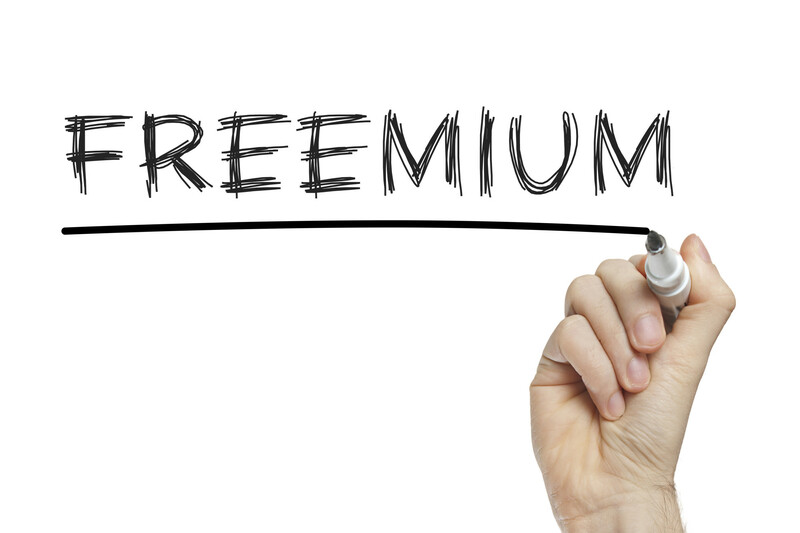 You’ve seen there are different icons that come with premium themes but many of us don’t like to use them because we want something creative and unique. 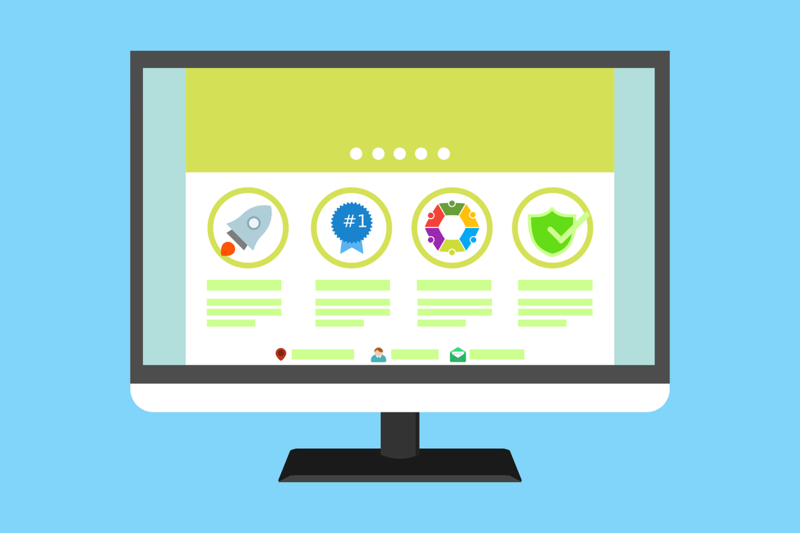 There is always one problem that you usually face while adding these icons in your website that they will not got adjust as you seen in demo, but here you don’t need to worry about anything because these all social icons are designed by professional designers and you can use them anywhere without worrying about anything. We’ve listed all icons one by one, so you can go ahead and check which one will suit your website. We’ve also mentioned the format of all icons that help you to know that in which format the social media icons are available. Circle Icons Pack with more than 270 icons. PSD for creating your own icons is also available. All icons are in .png in 5 different resolutions available: 512, 256, 128, 64, 48. 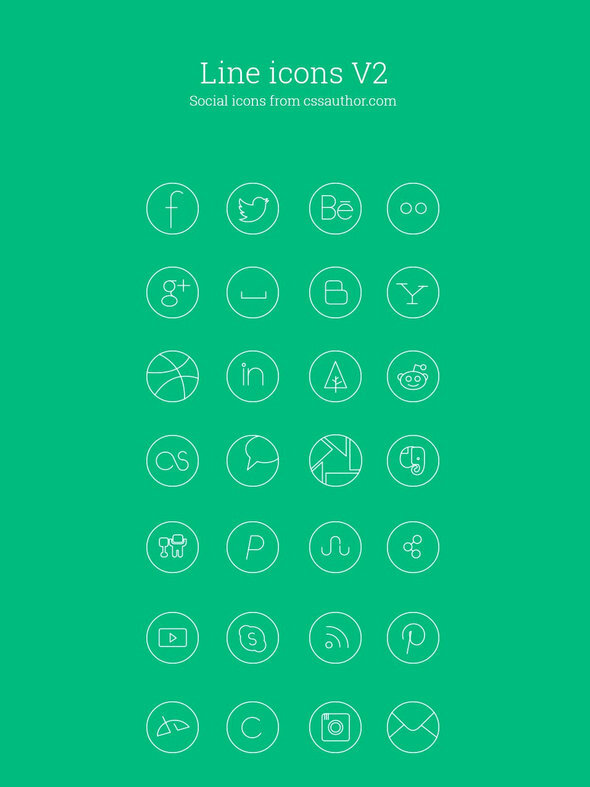 It’s included 10 beautifully flat designed social media icons. They come organized neatly in a psd file that allows you to completely customize them the way you want. Currently they are 64 x 64 px big, but can be re-sized with the drag of a mouse. 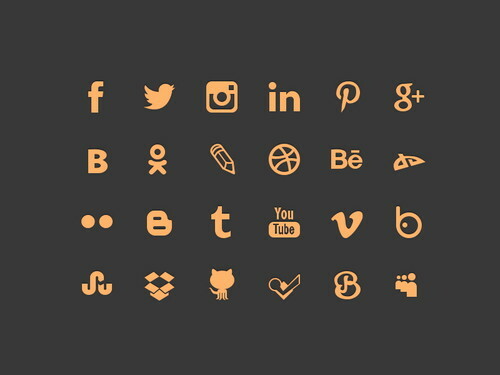 It has collection of different social icons and some of them are YouTube, Dribbble, RSS, Google Plus, Vine, Paypal, Sound Cloud, Spotify, Tumblr, Instagram, Pinterest, Facebook, Etsy, Flickr, Dropbox, Deviantart, LinkedIn, Twitter, Behance, Kickstarter, Yahoo, Blogger, HTML5, CSS3, Grooveshark, Github (x2), Basecamp, Code School, Evernote, Forrst and Foursquare. 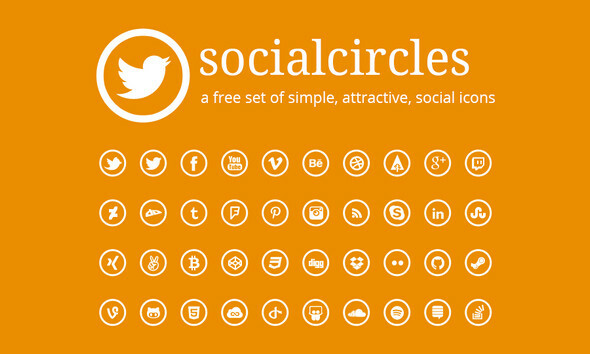 You’ll gain instant access to the free “64 Mini Social Icons Set” that you see below. All these icons come in PSD format and are all vector shapes. PNG (24 x 24 pixels) and CSH files are also available so you can use them right away in your projects. There’s 24 icons in this set including the most popular social networks: Instagram, Youtube, Skype, Pinterest, Deviantart, Blogger, Youtube, Vimeo, WordPress, RSS, Yahoo!, LinkedIn, Google+, Facebook, Youtube, Stumbleupon, Dropbox, Dribble, Digg, Myspace and Behance. 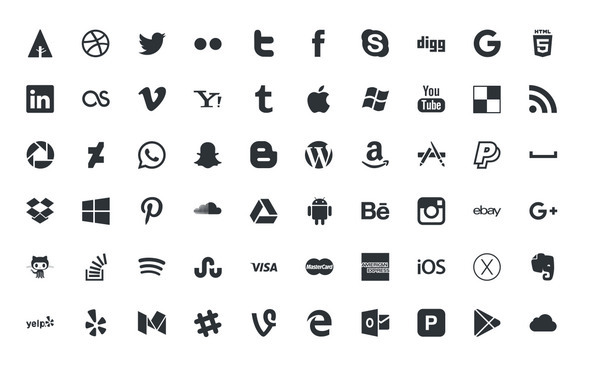 Picons Social is a bundle of 150+ vector icons of your most favorite social services and applications such as Facebook, Twitter, Instagram, Flickr, Tumblr, Pinterest, Dribbble and many others. 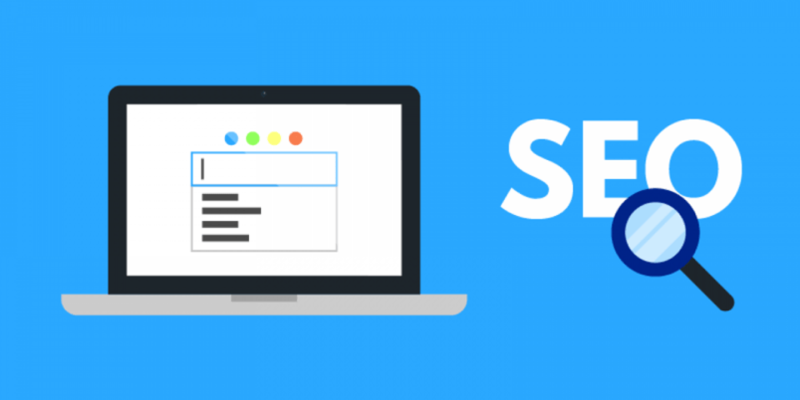 You are free to use them on your personal or business websites, interfaces or even other application, but you have to respect their owners rights and guidelines of use. There’s 85 icons but 4 different styles (that’s 340 icons!) – squares, knock-out squares, circles and knock-out circles – great for hover effects. As part of a new flat UI kit that we are currently working on here at Enfuzed, we are releasing this set of free flat social media icons (these will also come with the UI kit) a little early. Biggest collection of hexagonal style icons and buttons for your website. These icons have been designed to perfectly compliment our comprehensive Ultra-thin Vector Icons pack.